Offering fishing and accommodation adventures from one to seven nights, Anglers Lodge will customize an individual, family or group (up to 20 people) package to suit your needs. Fishing packages include the best quality gear and equipment along with all the tips and techniques you need to land the big one. Our fishing guides are experienced, US Coast Guard licensed and certified, friendly and fun. Options: Beginning June 6th you can exchange a river or saltwater charter and take a fly-out fishing trip for an additional cost of $250. A river charter is approximately 5 1/2 to 6 hours in duration. A saltwater charter is approximately 9 to 10 hours in duration. Saltwater trips are weather and seas dependent and river trips will be substituted, if necessary. Prices are per person, subject to sales tax. *Taxes, airfare, car rental, fishing license, fish processing and gratuities are not included. Rates are based on double occupancy. INTERESTED IN STAYING AT ANGLERS LODGE? Unforgettable memories that last a lifetime. 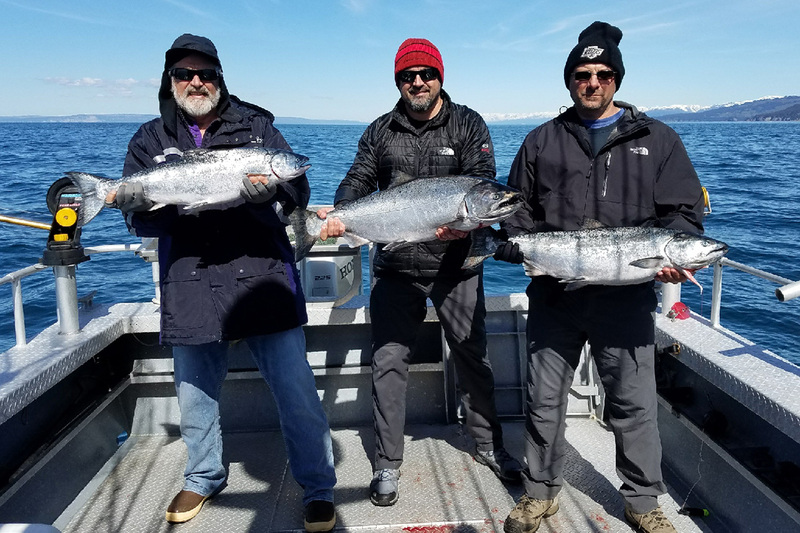 We fish for Alaska King (Chinook) Salmon and Alaska Pacific Halibut in May through July, Red (Sockeye) Salmon and Halibut in June and July, and Silver (Coho) Salmon and Halibut in August and September. 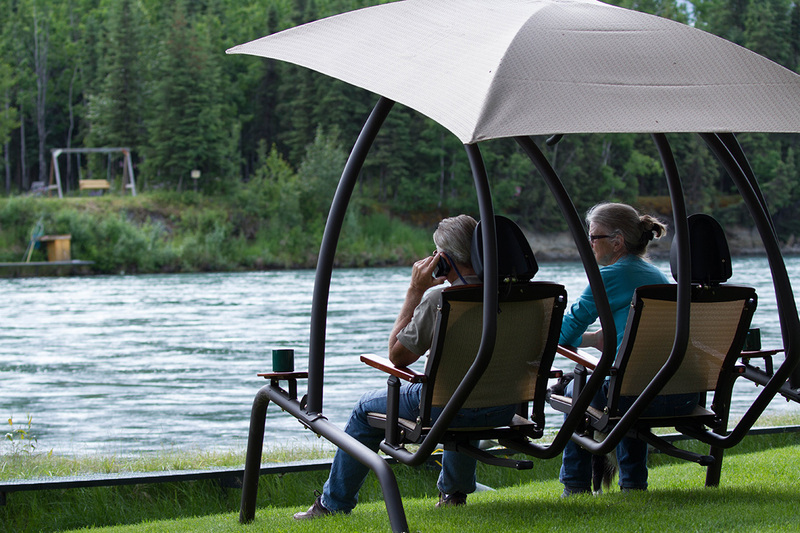 Rainbow trout are plentiful in the Kenai River in September so be sure not to miss out on some of the finest fly-fishing from the river bank in front of the fishing lodge. 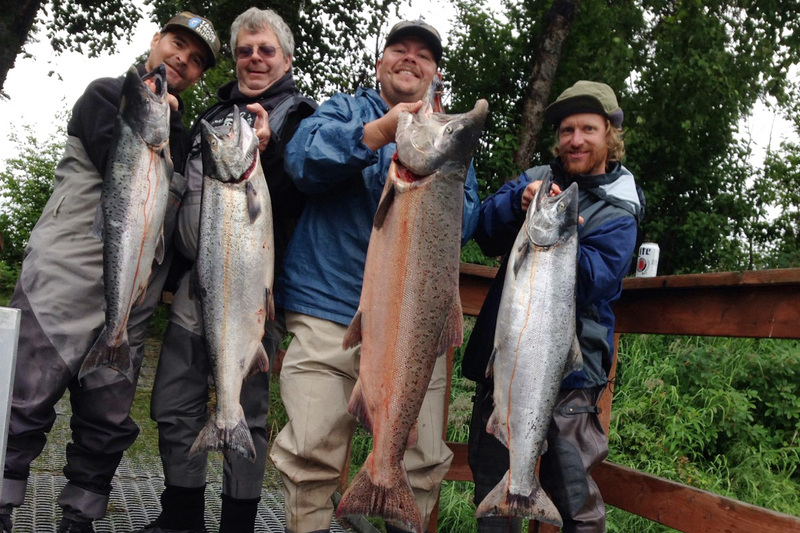 So whatever your Alaska vacation timing is we can provide you with a day or a week of fishing adventures that you will never forget. 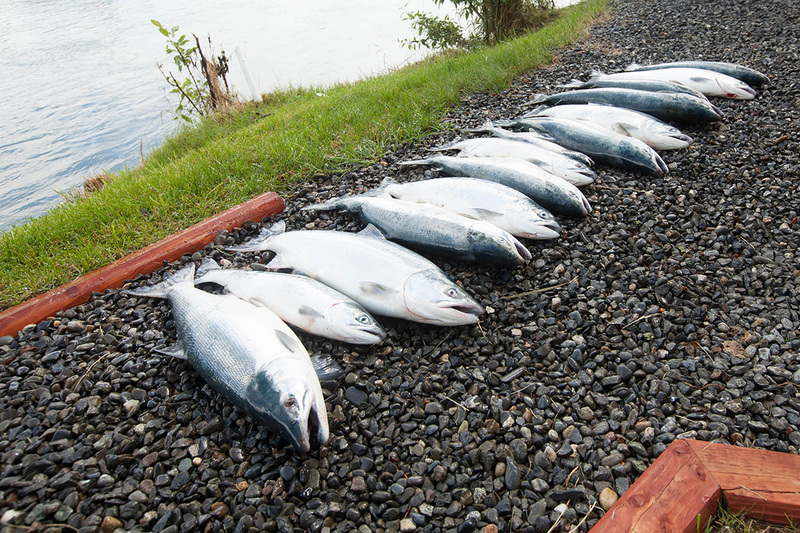 Non-Fishers are welcome with fishing guests at a reduced rate. We recommend making advance reservations as our season fills up fast! Most reservations require a $750 per person deposit and the balance due 60 days prior to arrival. Deposits are non-refundable, unless otherwise noted. No partial refunds for late arrival or early departure.